“Recent conceptual frameworks of disability highlight the important role of the environment in the disablement process; that is, people are believed to interact with their environments to produce disabilities” (IOM, 1997; Teel et al., 1997). Nobody is intrinsically disabled. And many people who are “fully-abled” in the technology saturated environment of the United States would be essentially disabled in the Amazon or Andes of Peru. To achieve any given task, the skills and capacities of the person intact with the resources of the environment. The easier the environment is, the less you have to do. Environments in the United States are reaching an unprecedented state of easiness. Consider the task of personal mobility. Virtually nobody in the US has to be able to step from a moving canoe, balance on a wet log in the rain, or climb 24 inch steps at a 70 degree rise, cut into a log simply to enter their home. 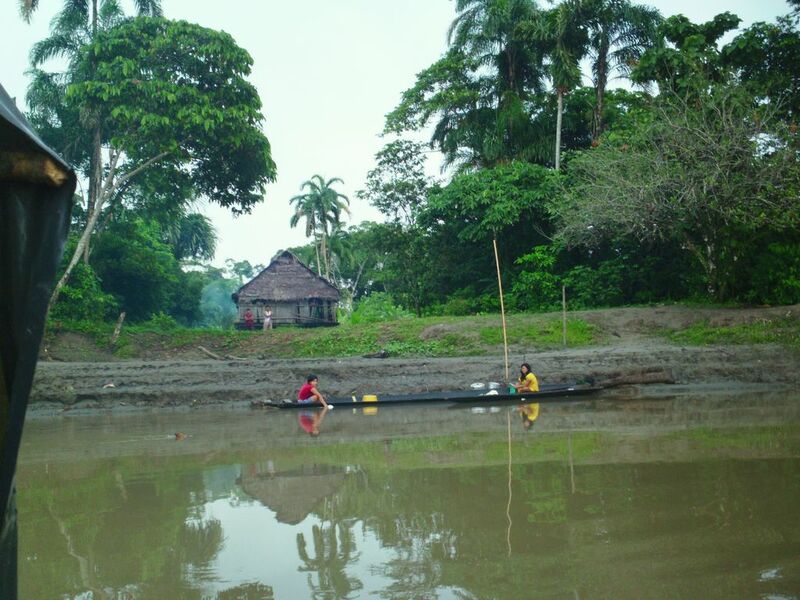 These are typical daily transportation tasks along the Napo river in Peru. In the countryside of the Andes people walk up insanely steep slopes carrying 5-gallon buckets in blankets on their back while breathing air that has 40% less oxygen than sea level as part of their morning commute to work. 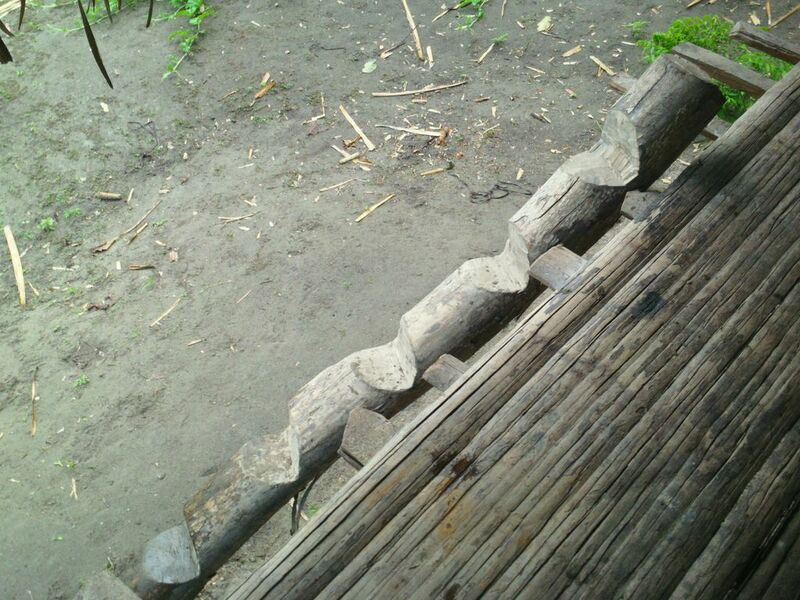 Typical stairs to enter a home along the Napo river in the Peruvian Amazon. Where is the driveway? Disembarking from a canoe to enter a village or homestead typically requires wading through knee deep mud. The unprecedented easiness of the task of personal transportation the US is considered by many people to be a primary cause of the physical activity deficit of Americans. But the easiness of mobility that may be contributing to heart disease for some, has been a godsend for those who would have been disabled in times past. 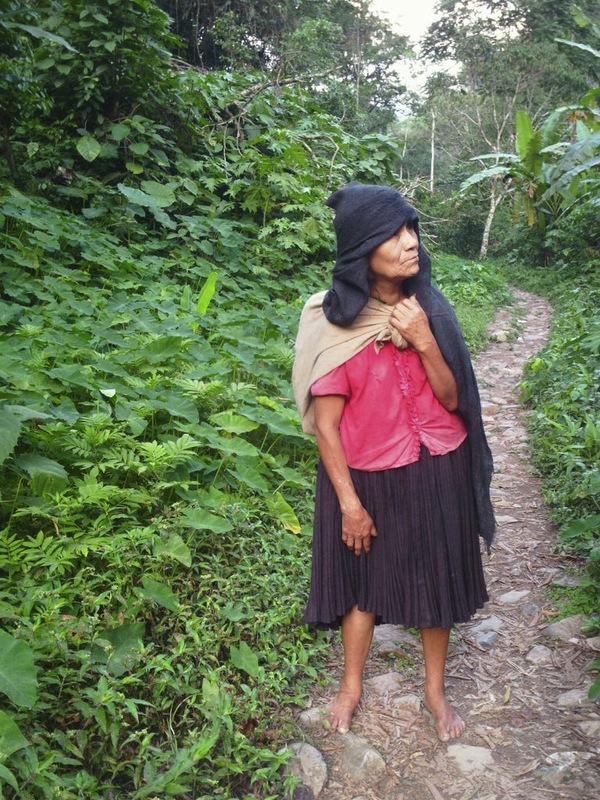 Transportation is still a difficult task for the double amputee but with cars, elevators and wheelchairs he or she can experience freedom of movement that is simply impossible on a rural farm in the Andes or Amazon of Peru. 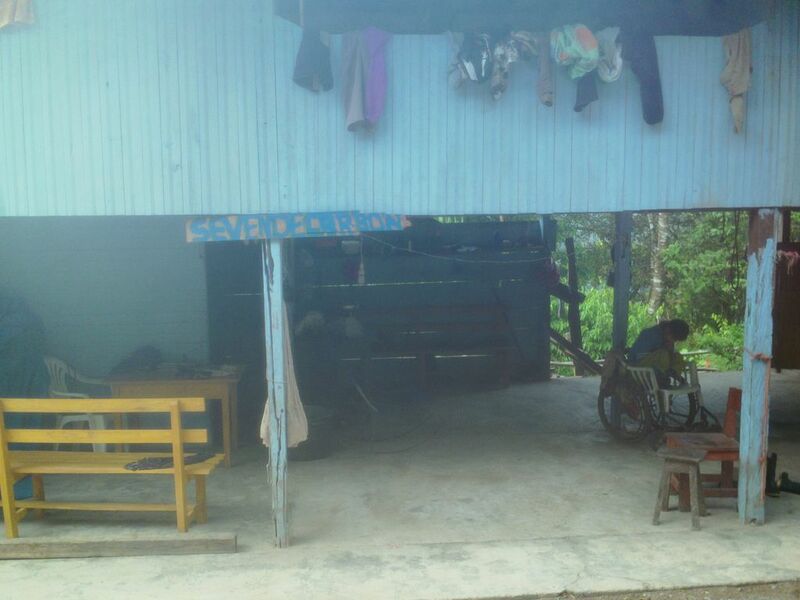 Home-made wheelchair on the road from Pucallpa to Huanaco, Peru. Constructed from bicycle tires and the ubiquitous plastic chair. 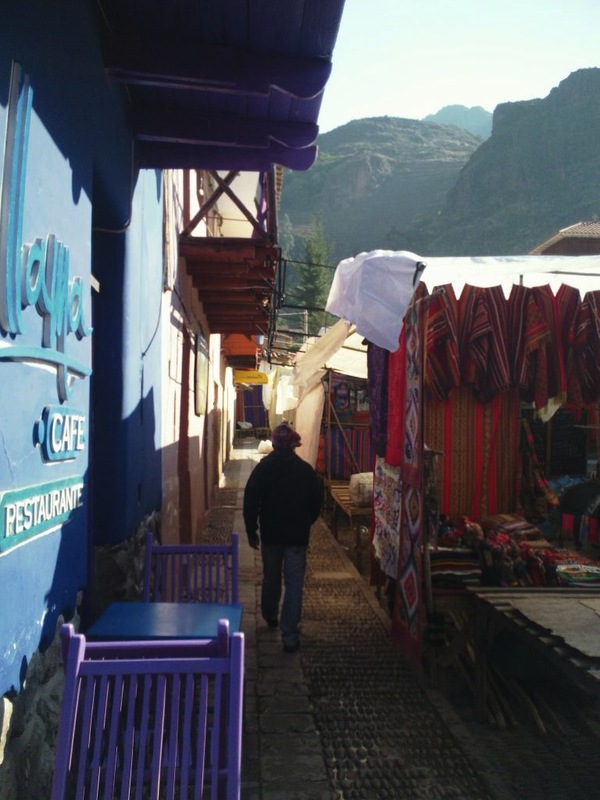 Mobility is extremely difficult for the wheelchair bound in Peru even in large cities such as Cuzco. People who get around by walking may fail to consider the impact that cobblestone, uneven pavement and enormous and irregular height stairs make on the lives of those who get around on wheels. Many parts of the sidewalk and plaza in Pisac Peru are made up river stones tipped up on their ends with deep grooves in between. It’s like a wheelchair speed bump. Even with these bumps, deep groves in the street and steps to enter every building, Pisac was one of the more wheelchair accessible towns we visited, mostly because it is comparatively flat and streets don’t turn into stairs very often. I think of the person side of this person-environment interaction of disability in terms of bandwidth. What is your personal movement bandwidth? If your bandwidth is wide, you can travel in a car, on a donkey, hiking up the Inca trail at high altitude, or swimming across a fast-moving river in the amazon. When the environment does not lend itself to the task of movement, you fill in the gaps. This concept of movement bandwidth is closely tied to fitness. But in the US, such fitness is usually not necessary. Marines and firefighters will tell you that their life depends on their fitness, and I agree. But these people chose to work in a job where their life depends on fitness, they could have been bank tellers if they wanted to. My point is simply that you can get away with being unfit in the US if you want to, you have the option of being unfit because the environment will bend to make life easy. When I say “you can get away with being unfit,” I mean that you can still move and function easily in society, whether you can get away from heart disease, diabetes cancer etc is another story. This unfit option does not exist in many parts of the amazon basin. One must walk and paddle, balance and swim, swing a machete and climb trees to live. Woman carrying produce along stone path barefoot. She said she would rather put her produce on a motorcycle but there is no money for gas. But the American option (having something in the environment do the work for you) has arrived to much of the amazon in the form of fossil fuels. Replacing human calories with the extremely energy dense and portable substance called gasoline. Now you can put a motor on you canoe and chop trees with a chainsaw. But there aren’t elevators or tractors so the impact is not as dramatic as in the US. What does your personal mobility bandwidth look like? So when you tell your friend you can squat 350 pounds and they tell you that sounds like a completely useless ability, tell them you are training to lift your 350 pound canoe off a muddy bank on the Napo river because there aren’t any cranes there…Yet.